BACKGROUND: Every year, our client NASCAR Performance in Charlotte, NC, did a simple video with NASCAR drivers reminding people to do car maintenance to get better mileage. They wanted Big Blue Sky’s thoughts on how we’d do it differently. CHALLENGE: To create an educational commercial on gas-saving techniques that could also garner enough attention to increase the number of opt-ins to NASCAR’s monthly e-newsletter. SOLUTION: The “Extreme Measures” campaign. Rather than just simply having drivers tell folks ways to save gas, we had them do it on extremely gas-efficient forms of transportation, like Big Wheels, tandem bikes and pogo sticks. The message: “You don’t have to go to extreme measures to get better mileage. 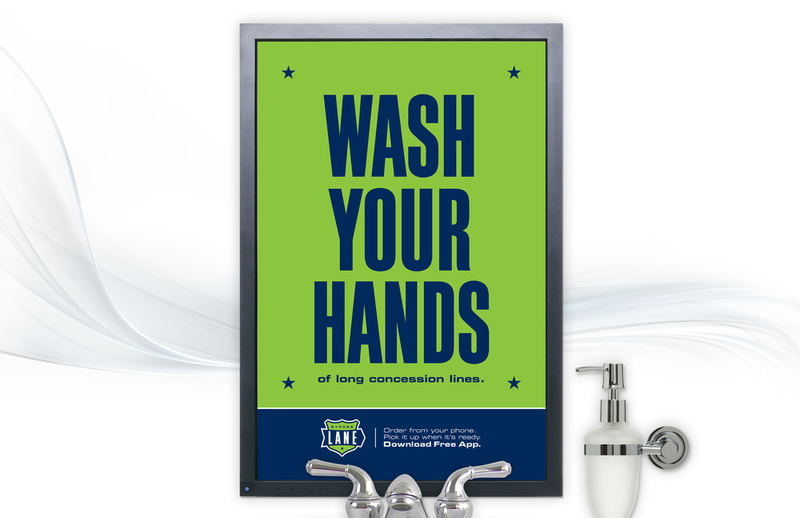 Just do the simple things.” The campaign included a :30 national TV commercial, print and online. RESULTS: It was NASCAR Performance’s most successful campaign ever, adding 40,000 opt-ins to receive their monthly newsletter. And the commercial won them two national industry awards. BACKGROUND: Our client Spiceworks is the largest online IT community in the world. Worldwide, they have over 6 million users. Each year, they celebrate SysAdmin Day to show their appreciation to their members and promote system administrators’ hard work and remind the rest of us to give IT pros a hug. CHALLENGE: Promote SysAdmin Day in a big way. 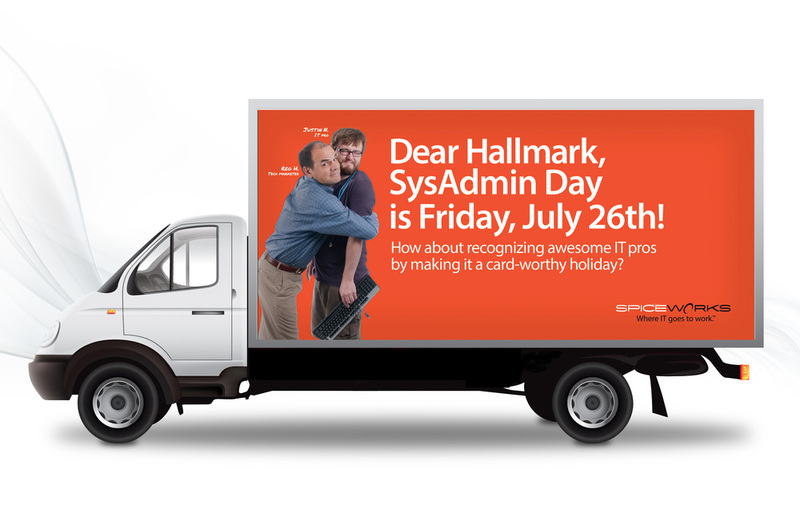 SOLUTION: SysAdmin Day “Dear Hallmark” Campaign. Big Blue Sky fashioned a full multi-media campaign aimed at the Hallmark headquarters in Kansas City to promote SysAdmin Day and to get it listed as an official Hallmark Holiday. The campaign included a full-page newspaper ad, online ads, airport ads, radio commercials and mobile billboards that spent the day cruising the streets near the Hallmark headquarters. RESULTS: The response from IT professionals was overwhelming. They had never seen such a campaign done on their behalf. And the unsung heroes of the office felt appreciated for all of their efforts. The Spiceworks brand was a hero. BACKGROUND: Bypass Lane came to Big Blue Sky with a very interesting service: A new way to pay for and pick up concessions at sporting events by simply texting in an order and receiving a text back when that order was ready — avoiding all those lines. 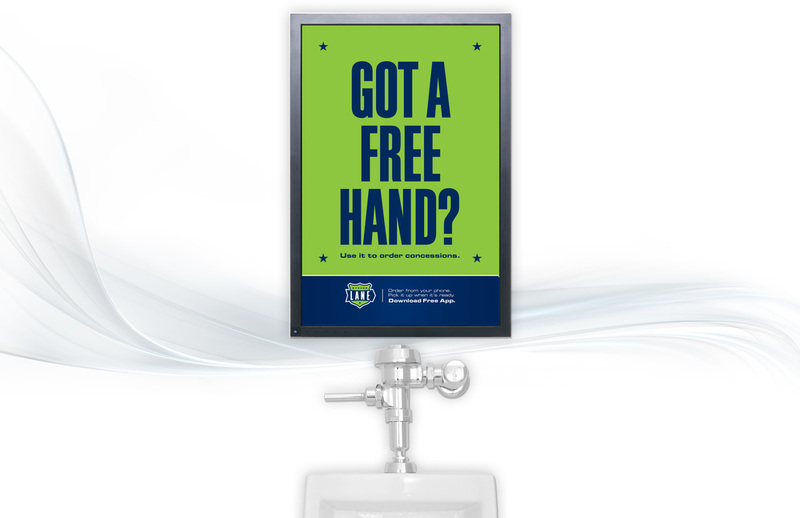 CHALLENGE: To brand this new company and concept in a fun, yet trustworthy way. And to arm them with the sales materials they would need to market themselves to the top professional and college sports teams in the country. SOLUTION: Starting with an educational logo and an easily recognizable brand colors, Big Blue Sky created every aspect of the Bypass Lane brand. 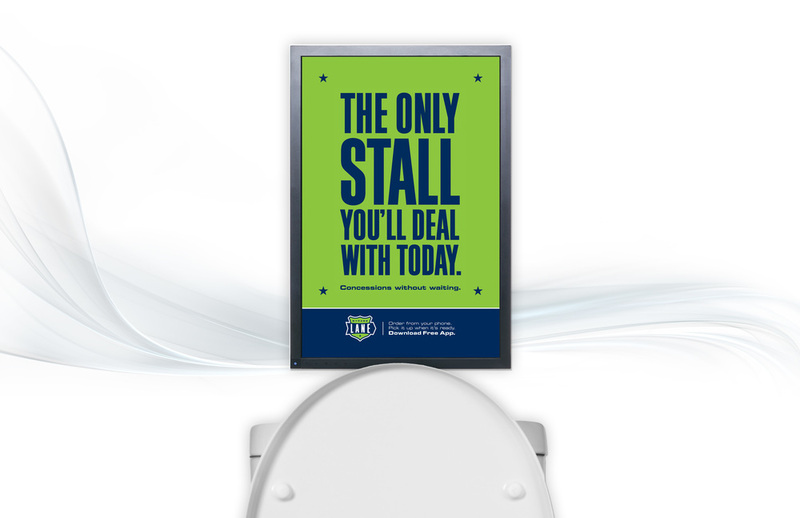 And by arming the company with a cohesive sales packet, sales presentation, ad campaign and trade show booth, Big Blue Sky helped Bypass Lane spread around the country. RESULTS: The Bypass Brand was a huge success. 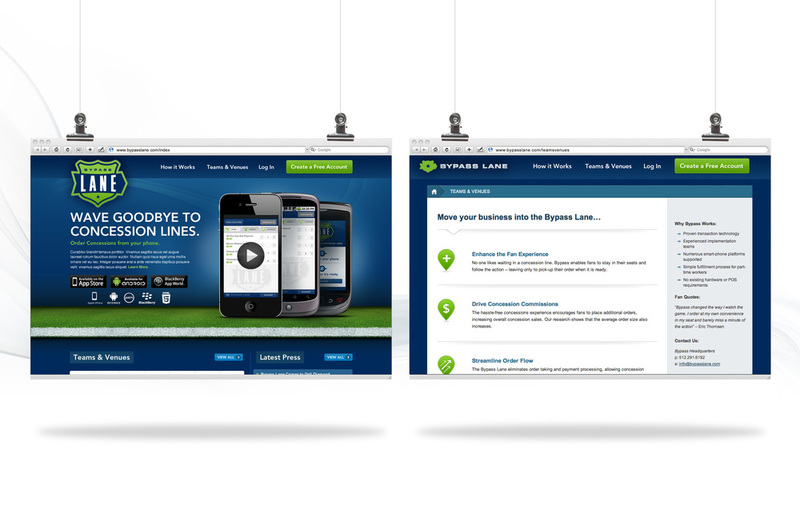 Bypass Lane was adopted into over 30 professional sports stadiums around the country. BACKGROUND: Fuzzy’s Taco Shop approached us with a unique problem. They were a Fort-Worth based restaurant that was starting to grow into other regions and even other states. They had a cult-like following where they originated, but they had never had a true brand or consistent look or message to convey that mystique to others. CHALLENGE: “Capture” the Fuzzy’s mystique and package it for existing and future franchises. 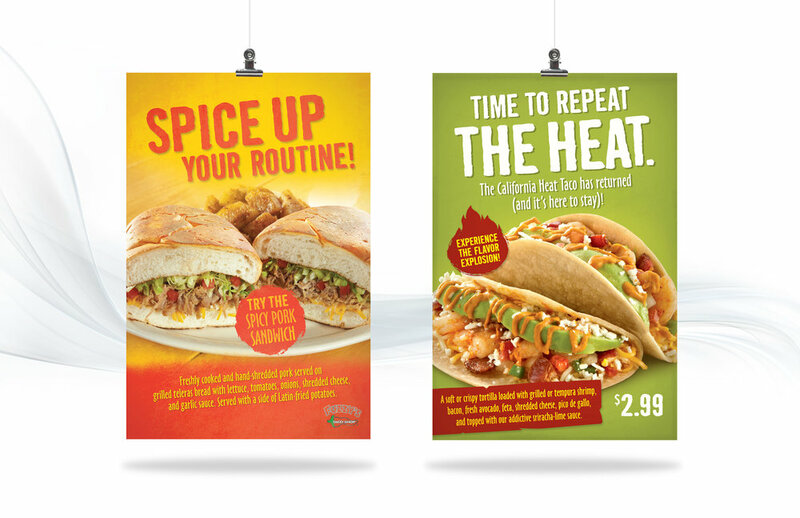 SOLUTION: Establishing the edgy Fuzzy’s brand and formulating an ongoing campaign that includes radio, print, outdoor and in-store marketing materials. 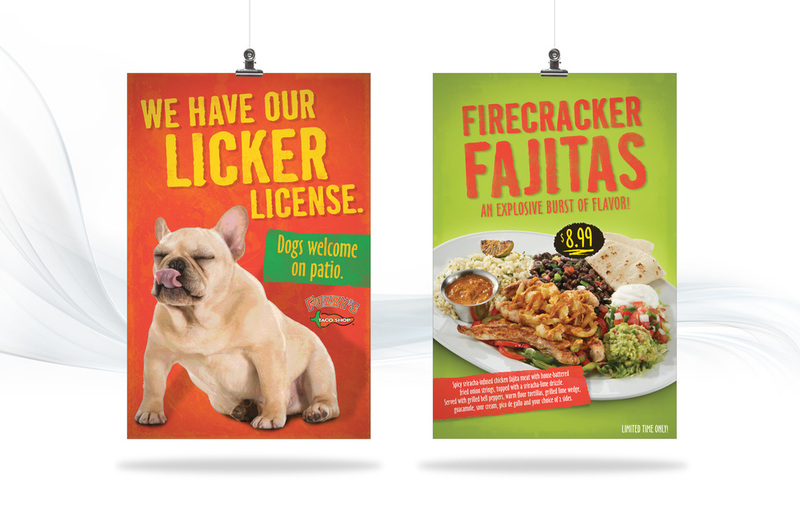 RESULTS: Fuzzy’s now has a powerful brand that new franchisees are eager to join. 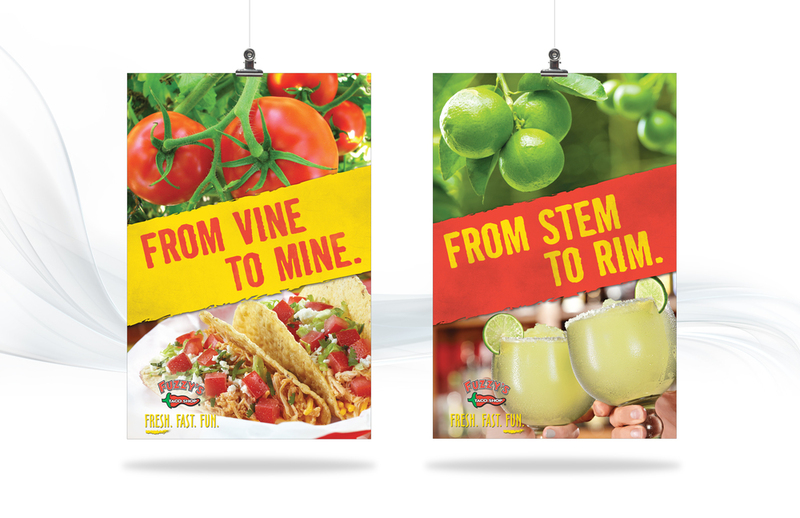 In the two years of our relationship, Big Blue Sky has helped Fuzzy’s Taco Shop go from 50 to 75 stores in 11 states. And Fuzzy’s plans to open 75 more stores across the country in the next two years. And just this past May, Big Blue Sky was named the Fuzzy’s Vendor of the Year. BACKGROUND: The City of Pflugerville was implementing their new recycling program and needed help promoting it to residents. CHALLENGE: To create an attention-getting and memorable education video that would inform residents of the do’s and don’t of recycling. SOLUTION: A 30 second video that would play at local Pflugerville movie theaters. The video included a catchy song that was full of information, including instructions on what could be recycled, how far apart to put bins, what days to place them out, etc. RESULTS: The video got the attention we were looking for. In fact, the city of Pflugerville and Big Blue Sky won two different first place TAMI awards from the Texas Association of Municipal Information Officers.